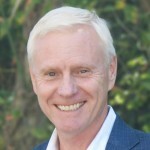 Chris currently serves as a Managing Partner for US HealthRealty. He has over 30 years of healthcare experience in the areas of real estate development, medical business development, sales and sales management, capital equipment finance and outpatient services development. Prior to forming US HealthRealty, Chris was a principal in a firm that developed outpatient diagnostic imaging centers. As the founder of U.S. HealthRealty, Chris is responsible for managing all development opportunities. Chris is a graduate of the University of Cincinnati with a Bachelor’s degree in Marketing. Dennis is Senior Vice President and based in Nashville, Tennessee. Dennis has more than 15 years’ experience in real estate and construction, with 13 of those focused on assisting hospitals and physician groups with their facility needs. 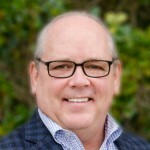 Dennis served as President of Healthcare Development at a Charlotte-based Colony Development Partners and as Senior Vice President of Business Development at Centex Construction Group, the nation’s largest medical contractor. He is active in the Williamson County Chamber of Commerce and serves on the Steering Committee of New Hope Academy, Franklin, TN. Dennis holds a bachelor’s degree in Business Management & Economics from North Carolina State University. Jim has more than 25 years of experience in real estate, design and construction. Jim’s portfolio includes multiple medical, general commercial and residential developments. In his current position, Jim has maintained a reputation of integrity and quality in all aspects of his business and his dealings with clients and tenants. Jim currently sits on several boards in the Franklin/Nashville area including the Board of Directors of Williamson Medical Center, Synergy Bank, and Battle Ground Academy.